Join more than 750 institutions working to ensure excellence in online learning PLUS benchmark your performance using our Quality Scorecard. A college, university or other institution that delivers education. Includes public, private, and for-profit proprietary providers. Includes institutions that grant degrees and/or certificates. A 2-year educational institution. Includes public, private, and for-profit proprietary providers. Includes institutions that grant degrees and/or certificates. A single institution with two or more campuses. Pricing: Membership pricing is at the institution level, covering all campuses. To determine the institution’s total full-time equivalent student enrollment (FTEs), combine enrollment for all campuses. A set of multiple, affiliated institutions that are governed by a system-wide body such as a board of trustees or regents. 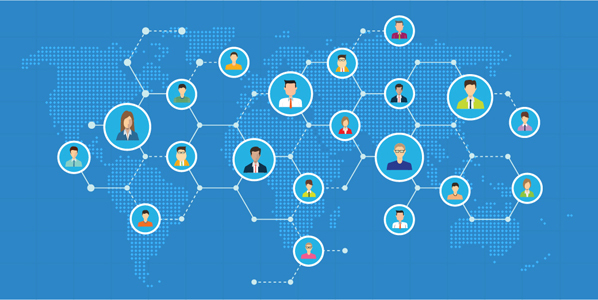 To be considered a system for OLC membership, the system must be complete – all institutions and a single system office must be established as members. The system office is at the choosing of the organization, yet it’s recommended that it reflects an office responsible for the development and oversight of online learning, perhaps the Office of Academic Affairs, of Distance Learning, or of the Provost. 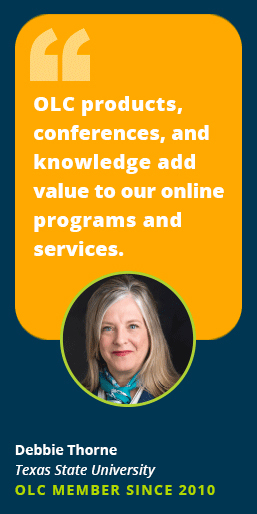 Benefits: Additional benefits for a system include coordination across the entire system of OLC’s Quality Scorecard Suite, system-wide consulting services, and consistency across the system for OLC member advantages. It also includes a 20% discount off membership for every institution. Pricing: Pricing for a system considers each institution individually and references each institution’s FTE count. (As a system, institutions don’t combine into a single FTE.) A 20% discount is then applied to the price of a standard institution or a community college. The fee for the system office is a flat fee regardless of system size. There is only one fee for one system office. A formal association of two or more institutions that deliver education. Benefits and Pricing: This follows the same approach as a system, with additional benefits that are consortium-wide, and complete membership that includes all institutions and a consortium office. A government or NGO office supporting education through a variety of responsibilities, including providing information and other services. Pricing: Membership is a flat fee. An organization or an association structured as a not-for-profit entity. A company or corporation structured as a for-profit entity. The US Department of Education has identified postsecondary institutions enrolling populations with significant percentages of undergraduate minority students. 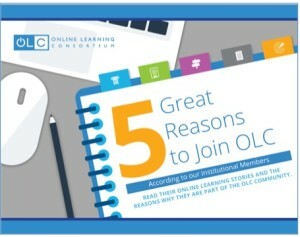 If your institution has been officially identified as one of these, OLC welcomes your membership with a special discount. To determine your status through this USDOE list, click here or contact your institution’s business office. OLC membership fees are based on Total Full-Time Equivalent Student Enrollment (FTE) for an entire institution (not just online programs), and are student-only (not including faculty or staff). If you do not know your institution’s total full-time equivalent student enrollment, please contact your institution’s business office, or go online to the National Center for Education Statistics (NCES). At NCES, look up your institution in the College Navigator, and use the number for “student population.” Or look it up the NCES/IPEDS database. If you need assistance, please contact sales@onlinelearning-c.org. "OLC Institutional Membership is critical for today’s higher education organizations as more students seek alternative delivery methods to complete their educational goals."